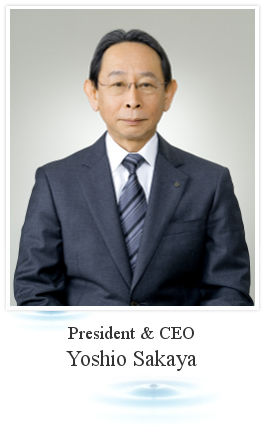 Message from President｜About Kawasumi｜KAWASUMI LABORATORIES, INC.
With the company's motto "Aspiring for human happiness worldwide through medical care", Kawasumi globally expands the business in development, production and sales of medical devices which meet various needs. As a company dealing with life-related products, we are pursuing the health and happiness of the people all over the world by the product development with customers' viewpoint and providing high quality products and services based on our trust relationship with customers. The environment surrounding the medical device industry continues to be ever-changing both in Japan and overseas. Although the demand for medical devices has grown in developed countries due to the progress in their aging population, reduce of medical cost is an issue. In developing countries, especially those in Asia, the demand for medical devices is increasing due to the population increase and economic development. Facing such social and situational changes, Kawasumi constantly attempt to achieve more advanced technology and provide highly safe and functional products to meet needs in medical settings with our technologies developed for over half a century. We will continue its persistent efforts to be a highly reliable company and to meet expectations of Kawasumi's stakeholders such as patients and their families, medical professionals, shareholders and local communities. We appreciate your continuing support for our activities.